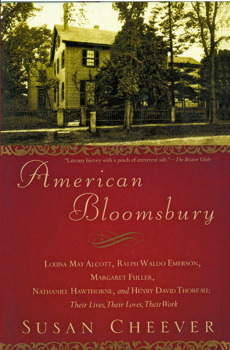 I recently read Susan Cheever’s American Bloomsbury, a compelling account of the interwoven lives of the Concord, MA literary giants of 19th Century literature and, with a notable exception (Nathaniel Hawthorne), the core members of both the Transcendental Movement and the Abolition Movement that saw John Brown as a heroic martyr. This group of closely-interconnected writers included, among others (Edgar Allan Poe passed through as did Walt Whitman and Herman Melville), Emily Dickinson, Louisa May Alcott, Henry David Thoreau, Nathaniel Hawthorne, and Ralph Waldo Emerson. My three exceptions are the three writers in this Concord, MA conclave who never quite fit in with the mindset and the groupthink of the rest of the writers: Nathaniel Hawthorne, Edgar Allan Poe, and Emily Dickinson. I won’t bore you with all the reasons – and there are many – why I like these three writers and don’t like the rest. If in another lifetime I decide to start a literary analysis blog, a post with those reasons will definitely make its appearance there. So, although I read my required – and no more – share of Ralph Waldo Emerson, I didn’t know much about him as a person. This book shed a lot of light on that. Emerson, it turns out, was the financial support for these writers and their families, some for all their lives (Henry David Thoreau) and some until they published successfully (Nathaniel Hawthorne and Louisa May Alcott). Emerson was older than most of the other writers and was treated by them as a father figure and a mentor. Emerson was intelligent (a graduate of Harvard), thoughtful, and a practical intellectual who guided this group in both their literary endeavors and their personal lives. So I was surprised to learn that Emerson developed dementia (Cheever, perhaps because she has not dealt with dementia in a more personal way, made the common mistake of calling it Alzheimer’s Disease, which is only one type of dementia), accompanied by aphasia during the last decade of his life. Because aphasia was a key feature of Emerson’s neurological degeneration, it’s very possible that he suffered from vascular dementia, since aphasia is very often a feature of that type of dementia. One of the devastating aspects of aphasia as it worsened for Emerson was that he had supported his family and, to one degree or another, many of the other Concord writers for decades by conducting a rigorous yearly schedule of paid speaking engagements around the country. Once his ability to communicate coherently was gone, Emerson’s income was gone as well. In the last couple of years of Emerson’s life, he forgot most of the people and things around him in Concord, MA. Louisa May Alcott, whom Emerson had known for 42 years, watching her grow up from a nine-year-old spunky girl into an equally spunky woman, became a stranger to him, as did his family. I plan to make “Profiles in Dementia” a regular feature on this blog since I’ve got a lot of stories like these that I’d like to share and will give another dimension, in terms of personal interest, to this blog. So, if you like this one and you like the idea, let me know by your likes and comments. 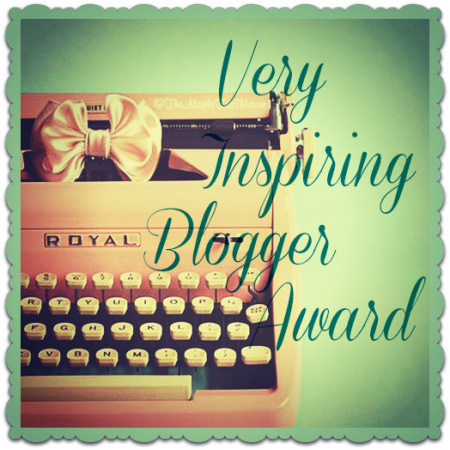 This blog’s for you, so you have a voice in what kinds of things are included here. I appreciate you reading and hope that you will find the extensive body of information here helpful in your journey with dementias and Alzheimer’s Disease, whether that’s as a caregiver for loved ones or it’s you that’s walking the journey yourself. Thank you! This is all interesting and relevant. I appreciate that you did this. Thank you, Tony. I’m continuing this series on a weekly basis, so I hope you’ll see some others that help. Thank you. I’m sharing them on the Lewy Body Dementia Support/Blog page on Google+, as well. I hope you don’t mind. Not at all, Tony. Feel free to share them. And thanks! Dementia has always been around, but it was considered to be a normal part of aging in some elderly people. It was referred to as senility or hardening of the arteries. But dementia didn’t occur in the numbers we are seeing now and very little research was done until the last 40 years or so to give us more insights into these diseases.